Right near I-87, Exit 30, is a trail that leads to a pond named Crowfoot Pond. 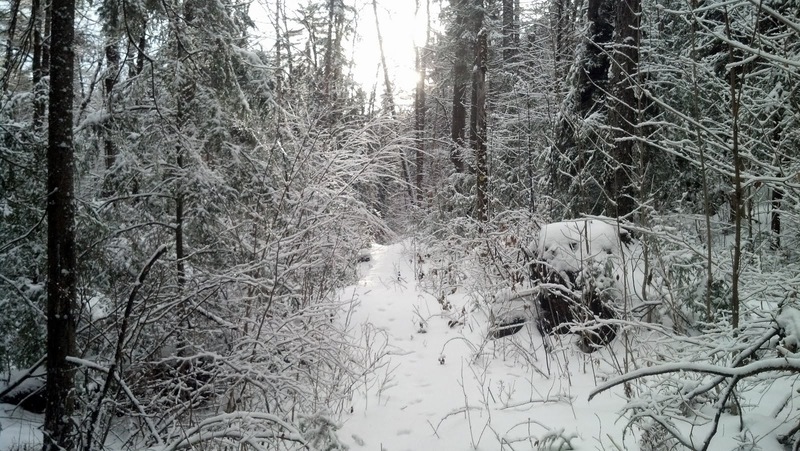 I hadn't hiked this trail before and I wanted to scout it for cross country skiing. 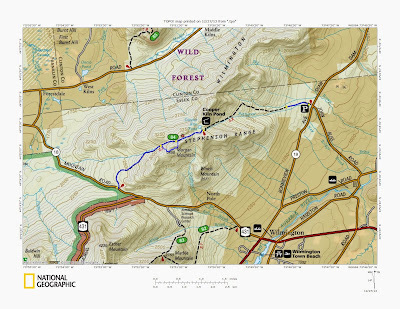 The terrain on the topo map looked relatively flat. It is 2.5 miles from the road to the pond. 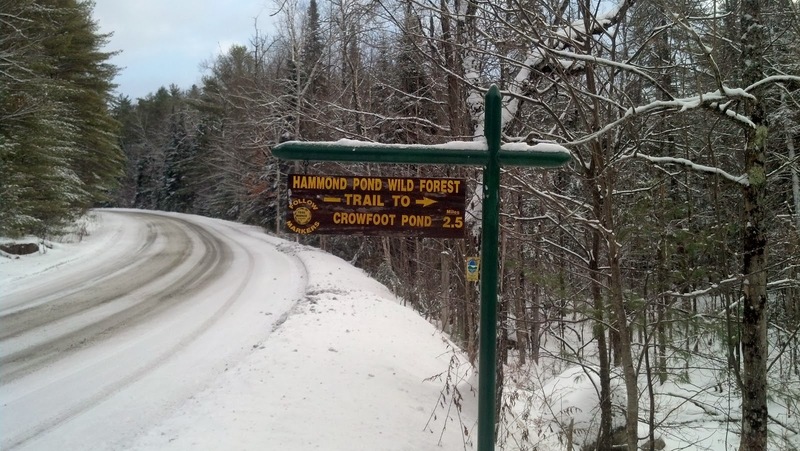 Once you reach the pond, there is an end of trail sign, and beyond that, the state land ends and private property begins. There is a summer parking lot just off the road (Tracy Road), but it is not plowed in the winter. We parked on the straightaway just west of the trailhead and got as far off the road as we could. There is not much car traffic on this road, but there did seem to be a lot of logging trucks traveling the road. Immediately after walking past the summer parking lot, we had to cross Crowfoot Brook. There is no bridge there, but when we were there, you could cross on a log or a frozen ice bridge. After this initial crossing all the remaining water crossings were on nice timber bridges, apparently designed for snowmobiles. The trail follow Crowfoot Brook all the way to the pond. 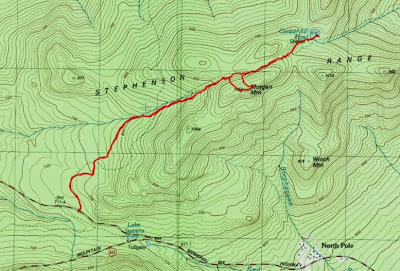 The trail follows a steady slight grade gaining 500 feet in the 2.5 miles to the pond. At 1.7 miles, we saw private property signs on both sides of the trail. Also at that point, unfortunately, were ATV tracks on the trail from there all the way to the pond. This trail would be nice for skiing if it is not used by snowmobiles for ATV's. The grade is easy enough to climb with no effort and it would be a gentle glide down. I suspect that motorized vehicles often spoil the skiing on this trail, but I'm not sure. 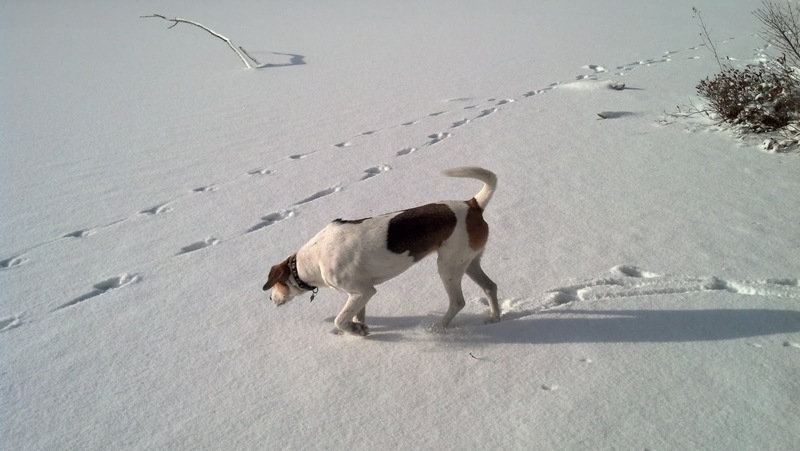 In any case, once we got to the pond, we watched Rev prance around on the ice, but we weren't comfortable doing so ourselves. We retraced our steps back down the trail. 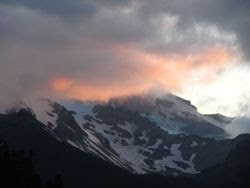 Hopefully there will be a chance for some skiing here. The bridges are nice, and the grade is perfect for an easy glide. 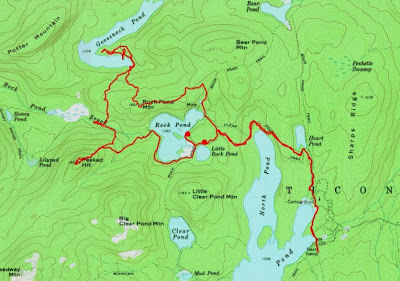 If you are looking for a relatively easy bushwhack to an open Adirondack summit, consider Peaked Hill in the Pharaoh Lakes Wilderness, just west of Rock Pond. The goal for me on this gray day was to do a little bushwhack exploration. 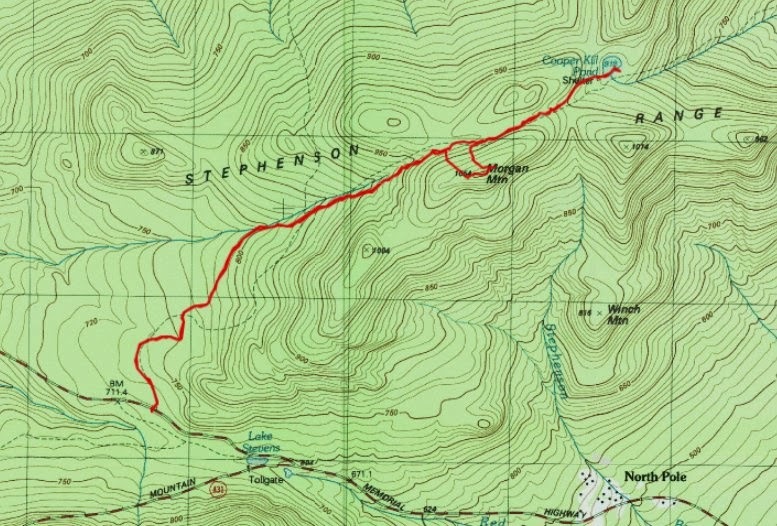 I had heard that Peaked Hill had a really nice summit, and I had eyed it during a previous hike to Rock Pond. Walking was tough due snow conditions. There was about 4" of crusty snow on the ground. I broke through with each step. 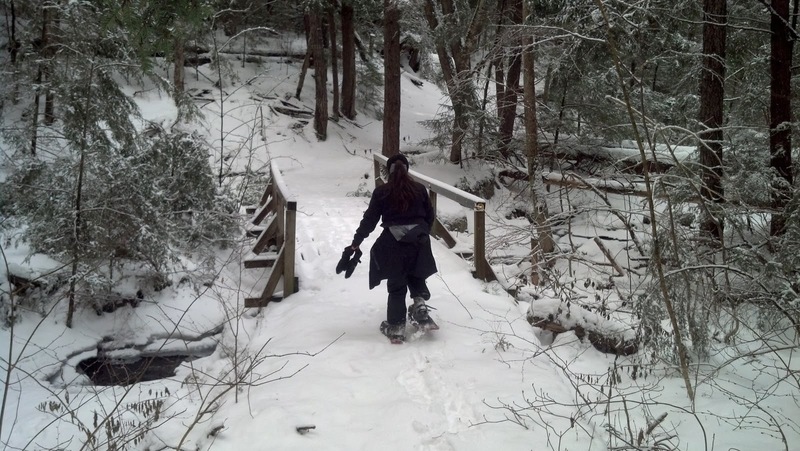 Snowshoes might have been better, but on a bushwhack, snowshoes don't always work so well. Once I got in the woods a little bit, the snow wasn't quite as crunchy. 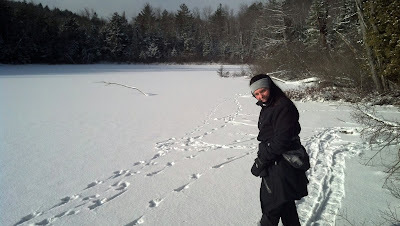 I started by hiking from Putnam Pond to Rock Pond via the Clear Pond Trail. 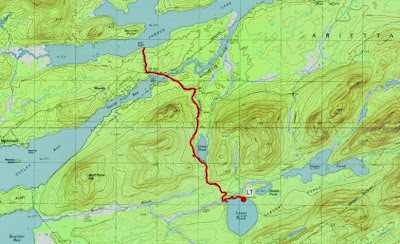 At Rock Pond I turned north to a height of land, then walked west on the ridge of Rock Pond Mountain until I reached the true summit. The woods was open throughout this hike allowing for easy movement through the trees. There were filtered views of Rock Pond to the south. From Rock Pond Mountain, I decided to head north to take a look at Gooseneck Pond. The land along the northern tip of Gooseneck Pond is private property but the remainder of land abutting the pond is state land. I made my way towards the peninsula on the inside of the dogleg of the pond. At the south shore I had my first glimpse of the peninsula and I saw an incredibly large rock formation at the water's edge. Adjacent to that was a long rock point with a steep east face. I had to walk several hundred feet inland to be able to get up on the rock and walk out to the point. It was quite an impressive extension of rock. 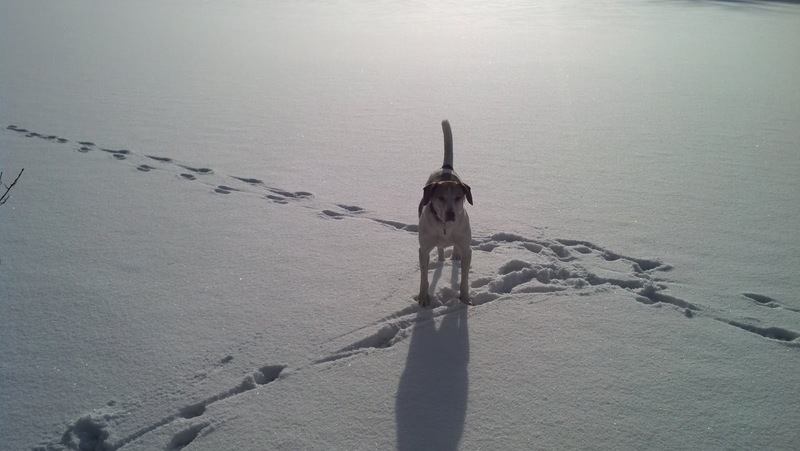 The water was covered in snow and ice, but it was not thick enough to trust walking on it. I made my way back around the pond and headed south towards Peaked Hill, bypassing Rock Pond Mountain on the west. Rev and I scouted and found a means to cross the Rock Pond outlet brook and soon we were climbing the open woods on the eastern flank of Peaked Hill. About halfway we passed several large sections of exposed rock. In minutes we were on the nice open summit. 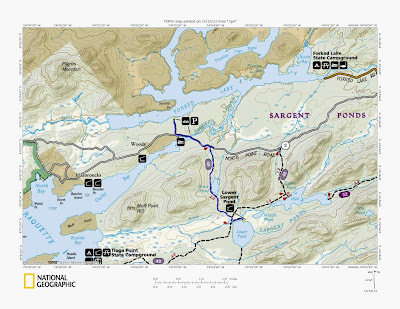 There are great views of Pharaoh Mountain, Potter Mountain, Rock Pond and much more of the surrounding area. I left the summit at 2:30 PM and was able to make it back to the car by 4:30. 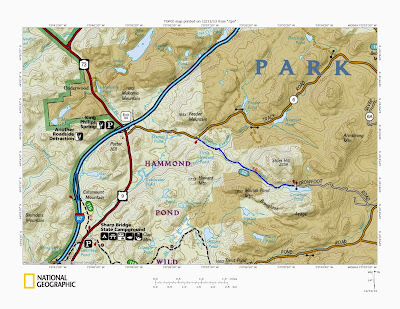 On the way back, I took the South Rock Pond Trail to the Clear Pond Trail, stopping at both the Rock Pond lean-to and Little Rock POnd lean-t0 on the way out. Soon access to this area will probably be a little more difficult, since the campground road isn't often plowed in the winter. That adds a couple miles each way onto the trip. Last night I decided that today was going to be my first day out xc skiing this winter. There wasn't enough snow in Schroon Lake to ski, so I went to Intellicast to check the snow cover in the western Adirondacks. I wanted to see how far west I had to drive to find sufficient snow. It looked like Blue Mountain Lake had about a foot of snow so I planned a route to Lower Sargent Pond in the Sargent Ponds Wild Forest (just west of Blue Mountain Lake). I just wanted to go out for a half day to get my ski legs under me. I left the house about 9:30 and was out to Blue Mountain Lake around 11. 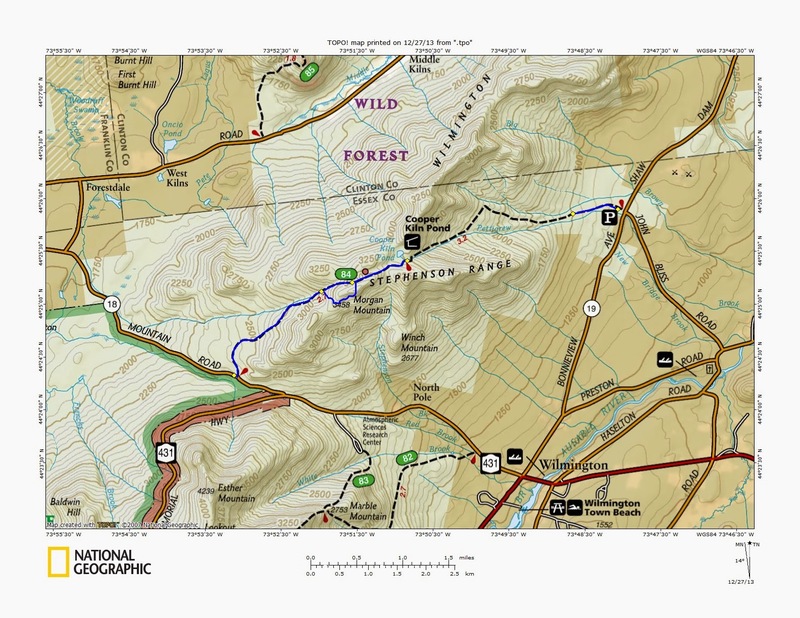 I turned off of Route 28 onto North Point Road to head towards my trailhead. As I drove down the road, I came across a motorist driving a SUV pulling a small utility trailer that had slide off the road into a fairly deep ditch. He had been stuck there for 20 minutes and there was no getting out. The ditch was about 5 feet deep. I pulled up to him and discovered that I was the first car to come by since he went off the road. I offered to give him a ride to his house 4 miles away. He got in the car and we only drove a short distance before we came to his wife driving up the road. I stopped and let him off to go with his wife, and I wished him good luck. After another mile, I came to my trailhead, only to find there was no place to park. I continued on 1/2 mile to a pulloff for a canoe carry to Forked Lake and I parked there. 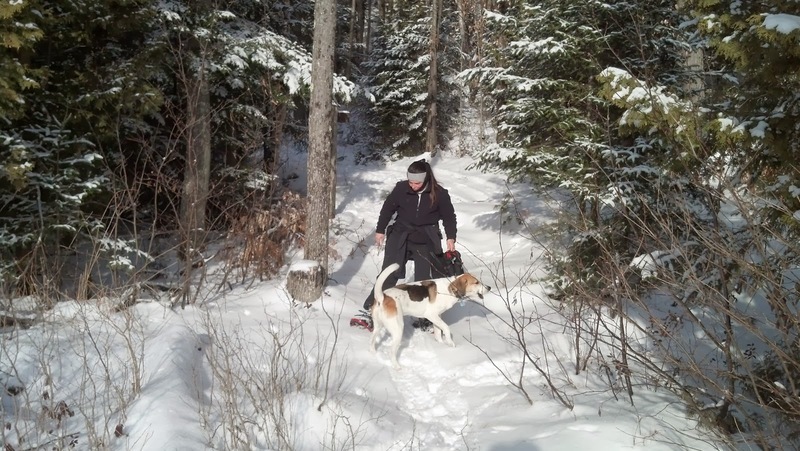 Since I was at the canoe carry, I started out by skiing the short trail to Forked Lake. It was about a half mile long. I reached the lake, then turned around and went back to the car. I then skied east on North Point Road for about a half mile to my trailhead for Lower Sargent Pond. 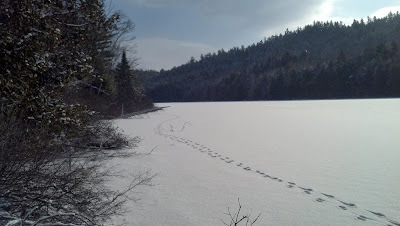 Along the way I crossed the Raquette Lake Outlet Bay. 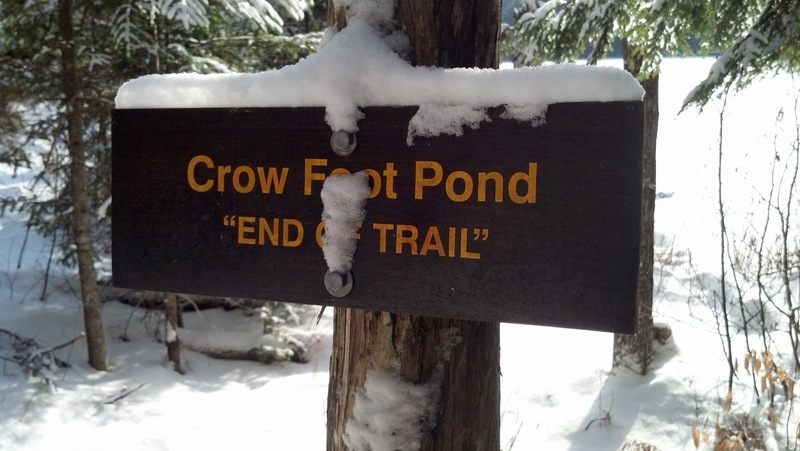 Once on the trail, there was about a foot of new snow and it was untracked. I would be breaking trail. It wasn't hard since the snow was light and fluffy. The first part of the trail is mostly hardwoods with slightly rolling terrain. There were a few small drainage crossings that weren't frozen. I had to carefully get across them so my skis wouldn't get wet and freeze. About halfway to Lower Sargent Pond I passed Grass Pond on my left. 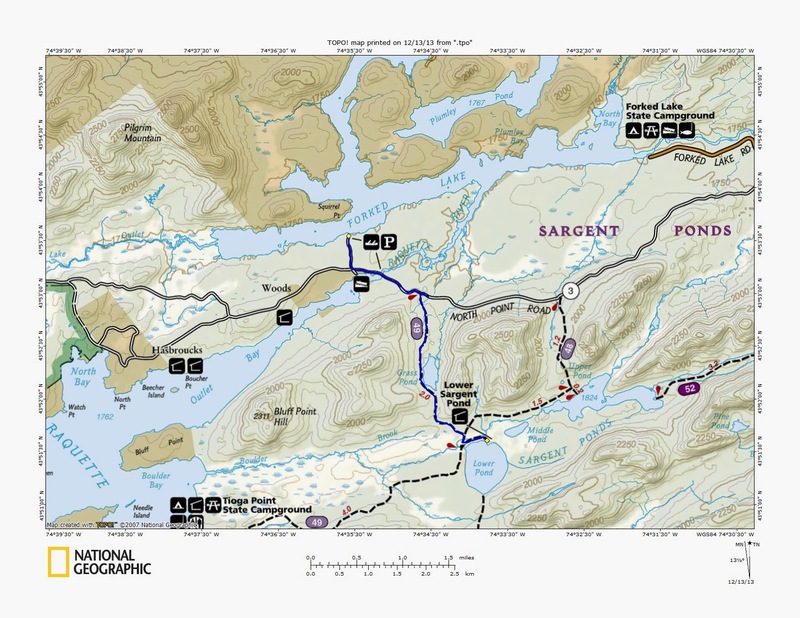 Farther on, I came to a trail junction and turned right to head for Lower Sargent Pond. 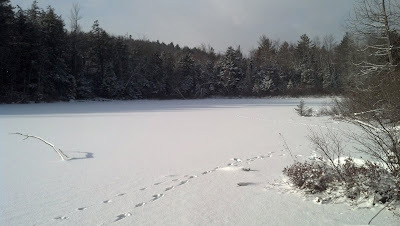 I chose this pond since it had a lean-to I could ski to and stop there for a snack. Just before I got to the lean-to I went through some pines that were encroaching on the trail and I got covered in snow. I saw 4 boats in the vicinity of the lean-to; 3 canoes and a rowboat. The lean-to is sited on a nice point with a fine view of the water. My dog Rev and I stopped to have some food. We didn't stay long though. The wind chill was around zero and it felt like it. Once fed and nourished, we reversed course to go back to the car. I skied a little faster since I had gotten a chill while eating. It was also easier on the way out since I got to ski in my tracks. 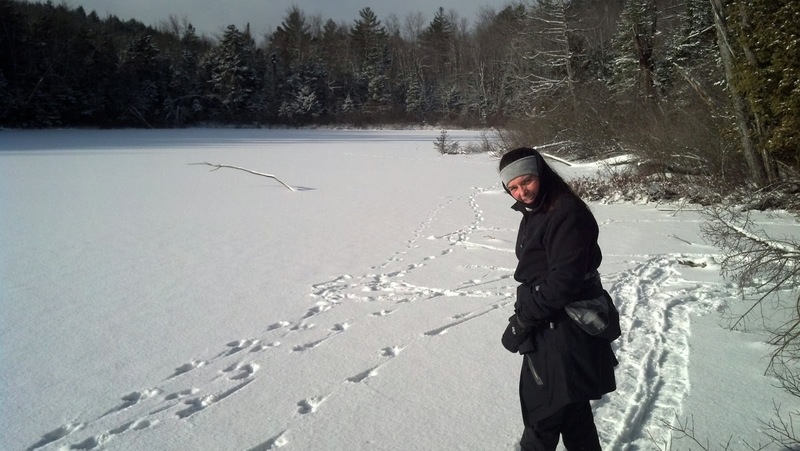 In unbroken snow, an out and back is nicer than a loop hike. You get a chance to enjoy the fruits of your trail breaking effort. The temperature was dropping as the afternoon wore on, but blue skies appeared. We were back at the car at about 3:30 and I didn't feel too tired from my first time out. That's a good sign. Snow is on the way tomorrow, so I'll be back out again this weekend I'm sure. Good to be out on skis again.